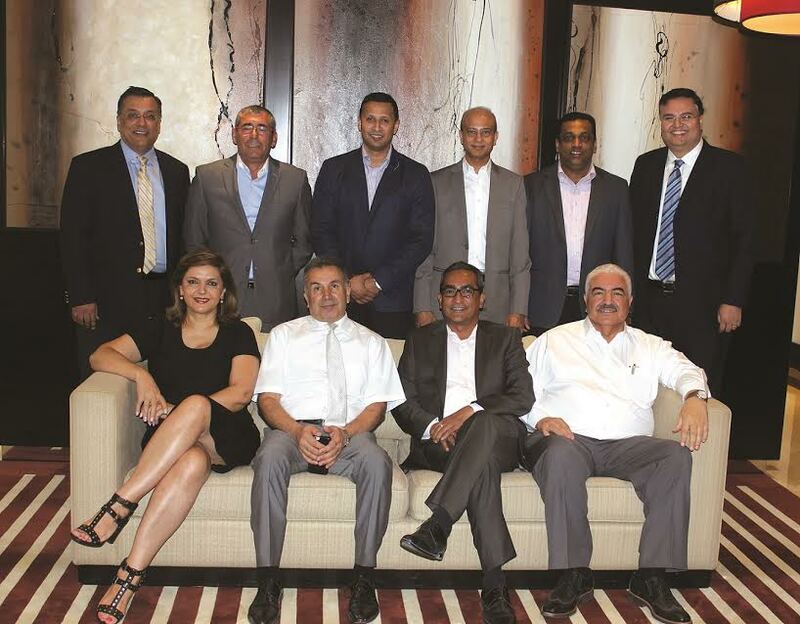 Standing: (L-R) Sajal Nanda, MD, Gulf Protek; Jorge Damasceno, GM, Bubble Dream Laundry; Mohammed Saleem Hussein, BDM, Reza Hygiene; Anil Shah, Director of Laundry Operations, Madinat Jumeirah; Fazlool Rahman Sheikh, Senior Manager-Laundry Operation, Butlers Dry Cleaning and Laundry Services; and Usman Tareen, GM, Butlers Dry Cleaning and Laundry Services LLC. Seated: (L-R) Roya Nouri, MD, Natronic International Inc.; Ali Reza, CEO, Natronic International Inc.; Chinmoy Chatterjee, Operations Manager, Linencraft – The Laundry; and Abderrahim Cedrati, GM, Burnus General Trading LLC. Dubai, United Arab Emirates: Leading service providers as well as product and equipment suppliers in the Laundry sector have called for public-private partnership in the industry to set standards for operations and product quality in the region. Participants, at the first roundtable organized as a part of the Gulf Laundrex – Linen Care Expo, held under the Middle East Cleaning Technology Week (MECTW), also agreed that there is an urgent need for a professional laundry association to provide support and education to laundry operators and workers. Highlighting the importance of knowledge enhancement in the sector, Chinmoy Chatterjee, Operations Manager of Linencraft, commented, “Our industry is rapidly evolving and it’s critical our skills, knowledge and ability to deliver for our customers keep pace with this change. Learning and development of key personnel is critical to this, from a Linencraft perspective, but also more broadly to improve the perception of our industry as a whole – as one that’s innovative and embracing of change. The limited availability of textile testing labs is an area that can be developed in this region, and we believe is currently being looked into by another party. We currently depend on international labs for exhaustive testing of fabrics, which isn’t efficient. To have that knowledge and expertise in the UAE would be invaluable. A regional training institute could also enhance existing staff development, attract newcomers and encourage the exchange of best practice,” he said. Chinmoy added that safety must be an integral part of any developments, as should a continued reduction in environmental impact. Roya Nouri, Managing Director, Natronic International Inc, which is a leading supplier of innovative technology to laundries in the region, was of the opinion that, it is vital for the industry to provide proper training to increase productivity and efficiency of the laundry industry and also that there is a need to set proper standard procedures that will help differentiate between the qualities of laundered items. “There are many laundry and dry cleaning establishments that provide services at a low cost and end up compromising on hygienic and standard procedures. This ends up damaging the market price and the standard of the industry. If there are standards set in place and made mandatory for all commercial institutions to follow then we could witness a major breakthrough in the industry,” says Roya, who adds that one of the quality measuring units must be Bacteria Inspections as it can reassure the end-users on the hygienic and health procedures followed in the laundry. The roundtable is a knowledge sharing initiative by the Gulf Laundrex – Linen Care Expo organised under the Middle East Cleaning Technology Week (MECTW). The panel comprised of leaders from the equipment, chemical, software, and service sector in the laundry industry. Other panellists at the roundtable included, Jorge Damasceno, General Manager, Bubble Dream Laundry; Abderrahim Cedrati, General Manager, Burnus General Trading LLC; Ali Raza, CEO, Natroic International Inc, Usman Tareen – Butlers Dry Cleaning and Laundry Services LLC and Mohammed Saleem Hussein – Business Development Manager, Reza Hygiene Laundry Division. MECTW is the region’s largest event that brings together cleaning service providers, equipment, and chemicals suppliers to discuss trends and showcase green cleaning products and innovations. The event will feature new pavilions dedicated to waste management, sewerage, and sanitation, and specialised cleaning for the year 2016. MECTW features three platforms – Gulf Laundrex and Linen Care Expo, Gulf Car Wash and Car Care Expo as well as the Clean Middle East Pulire. The event will be held at the Dubai International Convention and Exhibition Centre on 13 – 15 November this year.